In a previous article Landing Pages the overall concept of such pages was considered and discussed. One primary conclusion reached was ‘Overall, considering the costs involved, landing pages are most appropriate for those who run regular marketing campaigns and, of course, have the resources to do so. For indie authors, who usually just wish to run infrequent campaigns, the necessity for specific software and the payment of both annual and monthly fees, make them unviable.’ Naturally, many would have found this disappointing. What a Landing Page is: These are principally standalone pages that contain basic, but informative, details of a book, product or service. Who this discussion is for: Though Landing Pages may be utilised by anyone who has a product or service for purchase, it is independent (indie) authors who are the primary focus, especially those, probably the majority, who have limited finances. During the development of their career authors will have come across advice recommending they create a landing page for each of their books. The purpose will be examined in a little more detail in a moment. There are potential drawbacks with each recommendation. Within website or blog: Clutter and distraction should always be avoided when trying to concentrate a potential customers thoughts. To have individual pages for each and every book (assuming authors are going to write more than one) can make a website or blog very messy. In these days, when time is frequently stated to be limited, many may find the display of multiple tabs off-putting. Authors should also take into account concentration spans tend to be limited (probably a consequence of the immediacy of internet connectivity). Clarity, conciseness and ease of use are principles that need to be applied across most activities these days no matter where they occur. The conclusions from the earlier discussion may well have discouraged authors as they initially did the writer. However, the writer decided to carry out further research. The constraints mentioned with respect to utilising pages provided by third parties still exist however, a FREE alternative has been discovered. The following is based upon experiences with WordPress though there is little doubt other website/blog providers will have similar options available. Though they may not be as elegant or ‘all-singing’ as those provided, at a cost, by third parties, the free theme options available within most major website software companies provide a reasonably good alternative. To make such a page the author has the option of either setting up an additional site, from within their existing primary website or blog, or creating a completely new account (a different e-mail contact address, to the one used for their primary account, will normally be required). The ‘Home (Front Page)’ should be located and kept. All ‘Extra’ (e.g. Blog; About; Contact; etc.) content should be deleted. The author should then have a clear page into which to enter the information they wish readers to see. Readers will note each page contains links to a variety of retail sites. This does not negate the principles of a ‘clear ‘Call-to-Action’ and ‘only ONE objective’. These simply make it easier for customers to access their preferred retail site. Of course, it is not necessary for authors to have their books available from multiple retailers but if they do, this is how to make the purchase process easier. Book Landing Pages are useful and authors are recommended to create one for each of their books. Note: This does not mean they should not provide details of their books in their principle website or blog. They should but in limited form e.g. one page with details of all their books rather than separate pages for each. The ‘free’ website/blog options available from within a provider’s network make good alternatives to the ‘paid for’ options available from third-party providers. The information provided above has been intentionally kept to basics. If a reader requires more detail they may request it by means of a comment. The writer will do their best to accommodate such a request. Design of pages (Layout; Colour; Format; etc.) are at author’s discretion and preference within the available pallets of each theme. The principle of clarity, conciseness and ease of use should always be uppermost when formatting a page. Further information regarding such things as: Types of Page; Content; Use; etc. may be found in the original Landing Pages article. 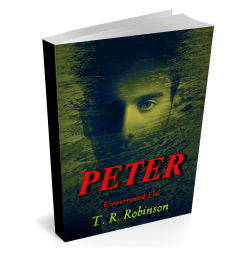 Disclaimer: Beside being users of, neither T. R. Robinson Publications nor T. R. Robinson have any affiliation with or to WordPress. Nor do either receive any remuneration for mentioning them. Yes Ernesto there is so much to consider. Even more so if you use Amazon’s services with the change from Createspace to KDP (also includes a different system for Kindle e-book editions). Thankfully other services have not changed. As Amazon is the world’s largest retailer it makes sense to have book with them as well as with other retailers. Look forward to publication of your new book.